On Wednesday I had the pleasure of attending and presenting at the LEAP (Leading Educators Around the Planet) conference on Indigenous Education in Sydney. My presentation focussed on building and sustaining relational trust and was based on my personal narrative of teaching and leading in a remote community school. 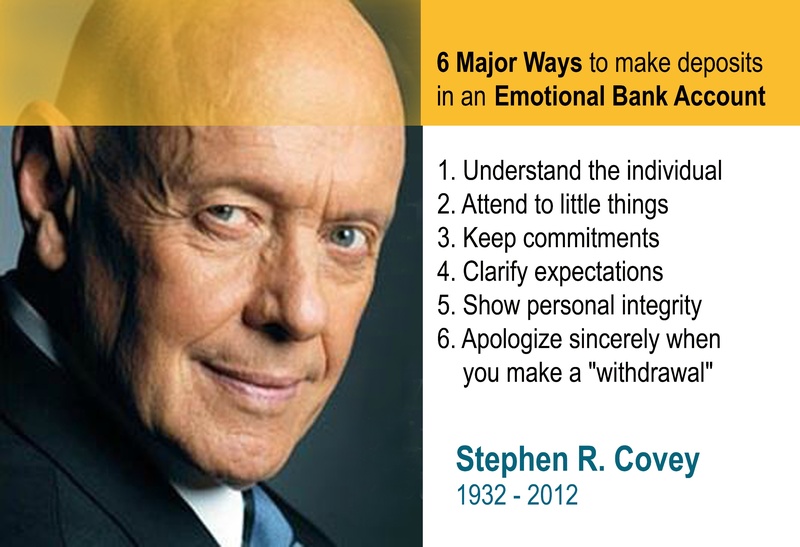 I spoke of the need to ensure the balance stays high in the emotional bank account between staff, students and families, as Stephen R. Covey explains. Making meaningful connections with the community, particularly through sport and learning the local language and culture, has held me in good stead for my work as an educator and has extended me as a person. My synthesis for trust in my work as a school leader aligns with Covey’s perspective. It followed what was an inspirational morning session with presentations from Dr Chris Sarra: Director and Chairman of the Stronger Smarter Institute, journalist Jeff McMullen and Prof Rhonda Craven and her team from ACU. After welcome to country by Uncle Chicka and Linda Burney, Dr Chris Sarra spoke of the toxic residue of low expectations that still exists for disadvantaged youth, and in particular for Aboriginal students. The key here is high expectations relationships, as they are far more powerful than just a ‘no tolerance’ approach. All educators in Australia must be wary of collusion with negative stereotypes and low expectations, as they cement disadvantage. Dr Sarra also spoke of the need to move beyond “victim type” leadership and avoid dehumanisation. In my view, we should all nurture our multiple senses of being, especially as educators teaching students from diverse backgrounds. As the Australian born son of migrants from Greece and Wales, this multiple identities notion really resonates with me. If one of our identities is devalued or ridiculed, what does this do to our self-concept and confidence? Students cannot leave their cultural identity ‘at the gate’, and in a multicultural and Aboriginal Australia, not valuing this often diverse knowledge is not just a missed opportunity, but plays a big role in forming the of negative value judgements and identities that children and young people hold for themselves. There really is no place for racism in education and we need to stand by our egalitarian ideals as Australians. Throughout the morning, I recalled work by Prof. Russell Bishop of New Zealand, who demonstrated that raising expectations and building relational trust with Maori students can have profound impact on their learning. The parallels here are strong. This is sound theory and although negative beliefs about disadvantaged students may be subconscious, they are still incredibly damaging to students’ self-concept and their outcomes. In addition, Hattie’s Visible Learning notes that the teacher-student relationship is a significant factor in student achievement, with an effect size of 0.72. This was all backed up by ongoing research from the Australian Catholic University as they presented the effects of self-concept on students’ experiences of school. Rhonda Craven and her team presented evidence on the causal relationship between reading self-concept, learning fun and rapport in raising class participation for Aboriginal students. This is a notion that emerging neuroscience research supports. Last week I was at the Future of Learning Institute in Boston, where Dr Mary Helen Immordino-Yang spoke about the deep connection between cognition and emotion. Such evidence only accentuates the role of educators not as transmitters of knowledge, but rather as humanising, guiding mentors, activating not just learning in students but also their interests, self-belief and Growth Mindset. In closing the day, Jeff McMullen and the panel spoke of continuing inequity and how it prevents us from reaching our egalitarian ideals. In all, it was a great opportunity to meet with passionate educators involved in Indigenous education and LEAP, especially the visiting Canadian, British and Finnish. Incidentally the LEAP peer mentor program that links Australian school leaders with those overseas seem highly effective and receives great feedback. It is also inspiring as a young educator to see highly experienced school leaders as passionate as ever and enjoying their contribution to Australia’s future. This is something I endeavour to retain as I continue my journey in education and life. This entry was posted in Uncategorized by loukaparry. Bookmark the permalink.